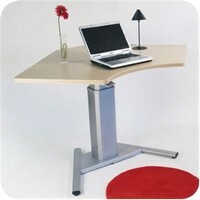 Effortlessly move from a sitting to a standing position whenever you want. Customize with accessories to fit individual user’s needs and workflow. 20-inch (51 cm) effortless height adjustment—patented CF technology allows instantaneous, tool-free, non-motorized re-positioning while you work! 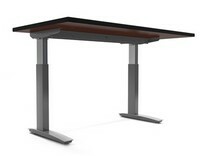 Integrated brake secures table in place and with just a touch releases for height adjustment. 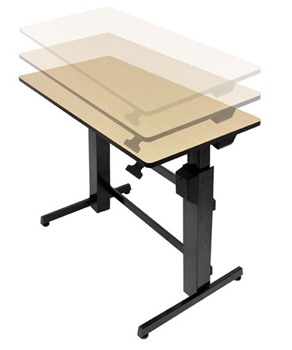 Features a spacious 23" x 48" (59 x 122 cm) worksurface. 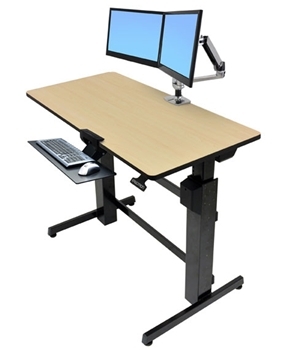 For Computer Users: On-demand sit-stand workstation ~ improve your energy and productivity by standing or sitting as you work, and then switch positions whenever you choose. Standing a little more each day burns extra calories, tones muscles, improves posture, increases blood flow and ramps up metabolism. Safe, easy-to-use ~ comes fully assembled and offers effortless operation. 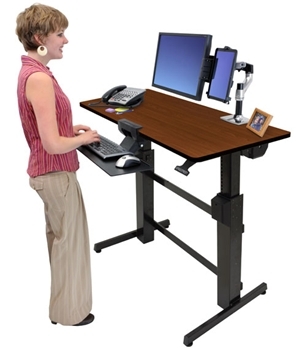 Designed to meet North American and European ergonomic standards. 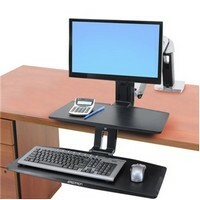 Robust weight capacity holds multiple displays, keyboards, books, phones and whatever you need in your work flow. For IT and Facilities Staff: IT deployment friendly, simple and quick. Flexible, open-architecture design is scalable for future computer equipment. Durable, robust structure, tested and certified to ANSI/BIFMA x 5.5-2008. For HR/Risk Management and Company Cost Savings: Manage the cost of healthcare premiums by promoting wellness in the daily work routine. Comfortable computing offers provable ROI on investment ~ healthcare costs associated with unhealthy computing and missed time are reduced while productivity increases. 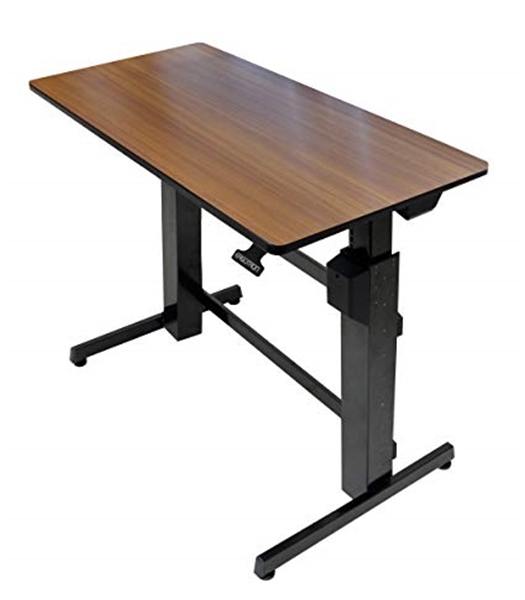 Standing supports healthy neck and back conditions. According to the 2007 OE Medicine Journal, back and neck pain are cited as the most costly conditions affecting employees. 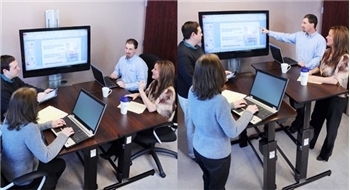 Studies in office ergonomics show productivity increases of 12% - 18% following an ergonomic intervention where employees are provided with well-designed ergonomic furniture. Complies with all international environmental regulations related to its design, manufacture and packaging.